(VON) Members of Nigeria’s House of Representatives have been urged to adopt critical measures in their legislative activities to push Nigeria out of the current economic recession. Delivering a welcome speech to the lawmakers after the yuletide season’s break on Tuesday, the Speaker, House of Representative, Yakubu Dogara drew the attention of members to the 2017 Budget, which according to him remains the major tool to revamp the economy. “This is in addition to other fiscal and monetary policies. The recent fiscal measures including import prohibition of certain items and the increase or decrease of tariff on some items should receive appropriate legislative scrutiny to ensure that the economy and the interests of our people are protected. 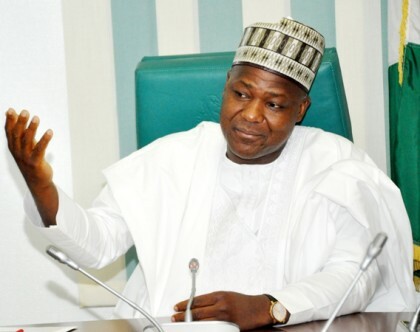 We must ensure that we take no prisoners in accomplishing this task,” Dogara stressed. The Speaker, who commended Nigerians for their resilience and sacrifice, said members would work assiduously and conscientiously to give Nigerians a budget that will not only lift the country out of recession, but enhance Nigeria’s prosperity. The Speaker urged members to rededicate themselves to the task of pulling Nigeria out of the economic and security challenges. He said the legislature would pass critical bills to ensure economic growth and restore total peace as a prerequisite for attaining the greatness, which the nation is destined for. “2017 is perhaps the year to pass critical bills before active politicking starts. Critical bills designed to stimulate and streamline our economy such as the Public Procurement Act amendment, Federal Competition Bill, Petroleum Industry bill, etc will receive expeditious consideration. Important Bills on Constitution alteration and Amendment to the Electoral Act also deserve expeditious consideration and passage,” the Speaker added.